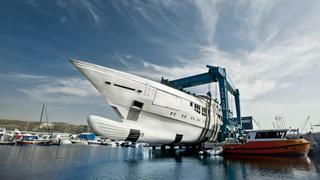 Bilgin Yachts has released new video footage showing its first 80 metre Bilgin 263 superyacht being moved into the outfitting hall. 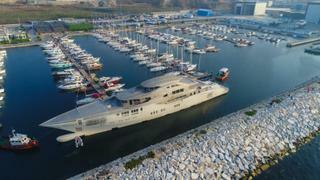 The third order from a repeat client from India, the deal to build the Bilgin 263 was signed in October 2015 at the family-run builder’s head office in Istanbul. The exterior design and naval architecture for the Bilgin 263 was created by the Antalya, Turkey based Unique Yacht Design, while the engineering comes from London-based H2 Yacht Design. 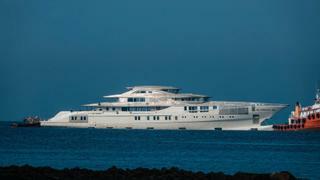 Accommodation is for up to 16 guests split between eight staterooms, including a master suite, three VIPs and four double cabins. Meanwhile, the crew quarters allows for a staff of up to 24 people. The Bilgin 263 has a slim, sleek exterior profile with multiple outdoor entertaining areas, such as a huge foredeck lounge with dining area and settees. Another lounge forward of the pilothouse boasts a superyacht spa pool, offering privacy while at port and great views from this lofty perch. This 1,600GT yacht will be fully ABS and LY3 compliant, and is predicted to reach a top speed of 18 knots, courtesy of twin 2,625hp MTU 16V4000 M73 diesel engines, while the total fuel capacity of 155,000 litres allows for a range of 5,000 nautical miles when cruising at 11 knots. 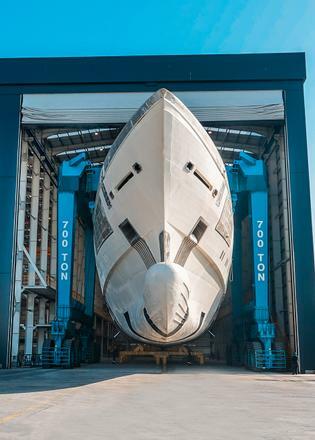 The new 80 metre yacht is the first of two such hulls being developed at the Turkish yard, with the second Bilgin 263 due to be given a technical launch in spring 2018.